There was an abundance of tributes from a cross-section of the community expressing their final farewell to stalwart Theodore Skeete, whose life of giving was warmly reflected on at a memorial service on 19 November. Mr. Skeete was a humanitarian, educator, father, husband, and friend, and many took the opportunity to elaborate on how he impacted their lives. Mr. Derrick Nicholas, Chief Executive Officer of the Leeward Islands Cricket Association (LICA), stated that LICA is deeply appreciative for the contribution made to the organization by the late Theodore Skeete, who served as a Vice President. Lion Marvin O. Grant MJF, 1st Vice-District Governor 60B-LIONS Clubs International in tribute stated that during the years that he had the pleasure of knowing Mr. Skeete, he found him to be a courteous, kind and genuine person. “Mr. Skeete always sought to accomplish his goals and was always willing to help others attain their goals. He was my president, Zone chairman and region chairman in the Lions Club of Tortola,” Lion Grant announced. Hon. Joseph W. Parry, Leader of the Nevis Reformation Party declared that Theodore worked hard always and was forever pursuing studies: “He had his disappointments later in his life as he discovered his qualification did not always convert into the level of promotions he expected, but it never slowed him down. As a community activist in Nevis and in the Virgin Islands he did his best to improve the young lives of the persons he touched. Finally, Theodore never forgot he was a Nevisian,” he said. Hon. Dr. the Hon. D. Orlando Smith, OBE, Premier of the Virgin Islands, said that Mr. Skeete contributed significantly to the development of the Territory’s educational system and shaped some of the Territory’s best and brightest minds. “The Virgin Islands will be forever grateful. In keeping his memory alive, let each of us who call these beautiful islands our home continue to strive for educational and civic excellence. Let us remain committed to the development of our youth. Let us continue to embrace those who have joined us in calling the Virgin Islands home. By doing this we ensure that Mr. Skeete’s legacy forever remains with us,” Hon. Smith stated. Hon. Myron V. Walwyn, Minister for Education and Culture, noted that it is and will always be a sad occasion when a country loses an educator. Nevertheless, he said that as a country the BVI will hold on to those teachings and sage advice which Mr. Skeete imparted over the time he taught and interacted with many. Mrs. Maisie L. Hendrickson-Skeete in her tribute to her husband said: “When we met some 39 years ago in February 1974, he said it was love at first sight. For me it was not but I was impressed with his level of intelligence and knowledge of topics, Bible inclusive. He relished in community service that sometimes required him to spend long periods away from home. Of course I would not be very happy and his response always would be “I cannot live selfishly.” “There are some people who bring great light to the world that even after they are gone the light remains and Theodore would be one. Sadly missed, would be quietly remembered every day, no longer to share in my life, our life but in my heart, our heart, he would always be,” she added. The Late Theodore Skeete is survived by his Wife – Maisie; Sons — Brian, Tremis, and Mauyan Skeete in the USA; Daugher – Elcia Skeete in the USA; Grandsons – Chad and Lucas George in the USA; Brother – Joseph Walwyn in Nevis; Sister – Ilene Walwyn in St Croix, USVI; and many other relatives and friends too numerous to mention. 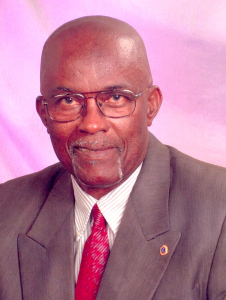 The publishers, management and staff of The Island Sun newspaper extend sincere condolences to the family and friends of the late Theodore Skeete.